Team Build understands the importance of a kitchen in the home, which is why we work with you to design a concept which works for you practically but also encompasses your style ideas. 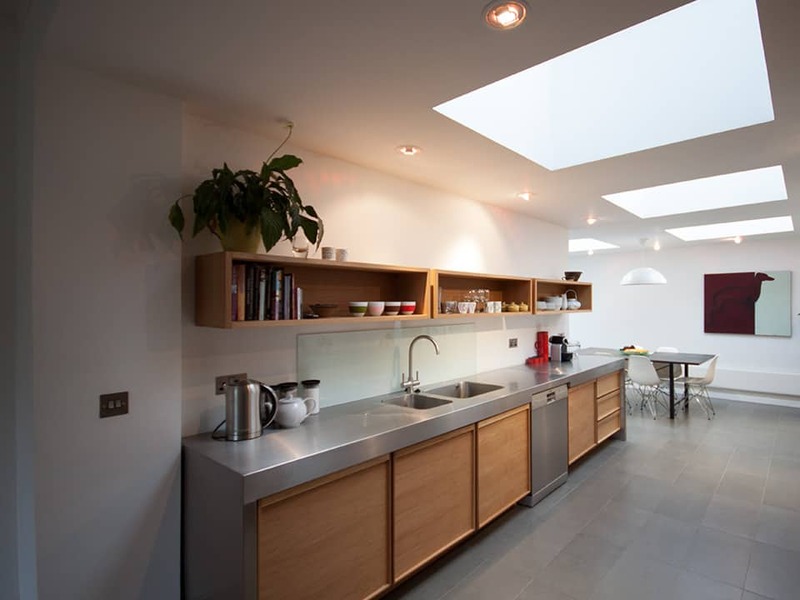 We tailor designs to meet a customer’s preferences and style, dedicating a significant amount of time to take into consideration the client’s lifestyle, the kitchen’s surrounding space and how the kitchen will be used. By choosing a bespoke kitchen option rather than an ‘off the shelf’ solution, you can ensure that your kitchen will not only be installed properly, it will also be crafted from stronger materials and woods, which will stand the test of time. If you are looking for a showroom finish for your kitchen and to add value to the price of your home, then a gorgeous bespoke kitchen can be a perfect way to combine practicality and style. Our quality craftsmanship means our kitchens are built to last and come with a guarantee while our focus on innovation means we can lead the way with solutions that can make your life easier. By taking measurements of your home and understanding how you use your kitchen, we can create a kitchen design that suits your purpose. Whether you need additional space from a kitchen island, a breakfast bar for the mornings or a family dining table in the heart of the home, we can help. Below are just a few of the key elements we offer in our kitchen design service, but please do get in touch via the contact form below if you would like to discuss any other ideas you may have. Kitchen cabinets need to be spacious, practical and versatile to suit the changing demands of your space. We can provide cabinets in a range of materials, styles and finishes with our purpose-built joinery working in the heart of Northumberland. Islands can be an excellent way to add space, and therefore value to your home. We can provide exquisite surface tops such as marble and granite to suit your budget and colour palette. We can also add a range of storage and under-island cabinets, to keep your kitchen clutter-free. Our designers will also advise you on the best space and size so that you have adequate space around the island to suit busy kitchen traffic. Make your kitchen the heart of the home with a range of seating solutions. Breakfast bars can utilise small amounts of space for ultimate practicality, while a dining table in the kitchen can help to instil the hub of the home, making it a perfect place to entertain family and friends. Whatever your space and style, we can deliver a solution that complements your décor and suits your personality.